The British political elite continue squabbling over how, when or if to get the UK out of the EU. For all the Prime Ministers assurances, there still doesn’t seem to be any way to break the deadlock. And this second delay is splitting opinions too, with some seeing as a sign the Brexit project could be abandoned, and others viewing at an undemocratic plot which threatens political stability in the UK. As has been the case with Brexit since its inception, it’s difficult to forecast exactly what might happen. But below are the four most reasonable possible scenarios. The continuing delay gives wind to those campaigning for a second referendum or the revocation of Article 50. Theresa May, who voted for remaining the EU in 2016, has repeatedly ruled out both of these options. But if she is toppled, a successor might be tempted to call an election. Over the past month, MPs twice held a series of ‘indicative votes’ on the various Brexit options aimed at breaking the stalemate. A second referendum was the most popular option, although it fell short of reaching a majority, though it does show there is support in Parliament. Yet in Brussels, that idea is not outrageous - if the UK did change its mind it would illustrate the fortitude of the EU and keep one of the main powers in the bloc. Goldman Sachs researchers give a 40 percent probability on no Brexit. Despite the repeated heave defeats in Parliament, Mrs May is still hoping to get her Brexit deal through Parliament. She promised to resign if her deal was passed, and is in talks with the opposition to try find a way to get the deal through. 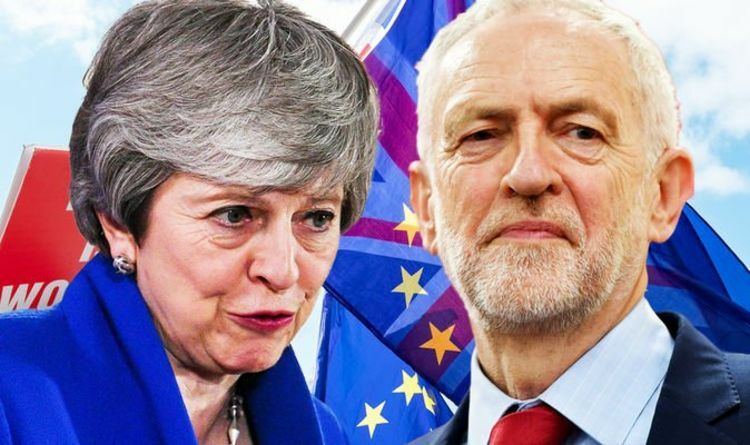 If talks with the Labour Party ultimately collapse, Mrs May has said she will accept the will of parliament on what to do next, and is warning that Brexit may never happen. One option that could win over Labour MPs is to have a post-Brexit customs union with the EU and to align with many of the rules of the bloc's single market. Brexiteers and many supporters of membership both say such an option is foolish as it would leave the United Kingdom with no say over rules it would have to abide by, and be a "Brexit In Name Only". The EU would be happy to include a customs union membership in the deal and could do it fast. If it all carries on in deadlock, Mrs May or a successor could call an election. If the crisis deepens, the UK could either leave the EU without a deal unintentionally if the EU doesn’t agree any more extensions or concessions, or if a Brexit hardliner ended up in power. This is the nightmare scenario for many businesses - stripping the world's fifth largest economy of its complex foreign trade relationships at one stroke, it would spook financial markets and dislocate supply chains across Europe and beyond. The political and social impact is unclear. No deal means there would be no transition, so the exit would be abrupt. Britain is a member of the World Trade Organization so tariffs and other terms governing its trade with the EU would be set under solely WTO rules.